This beautiful quilt features unique block designs, vivid colors and is a great beginner project! Make it in a weekend and enjoy it on Monday! 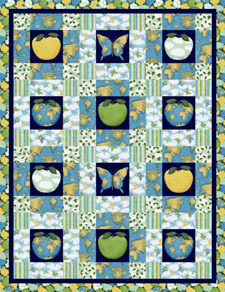 From the staff at Springs Creative: "Love Susan Winget’s Apple Green fabric collection? We do too! 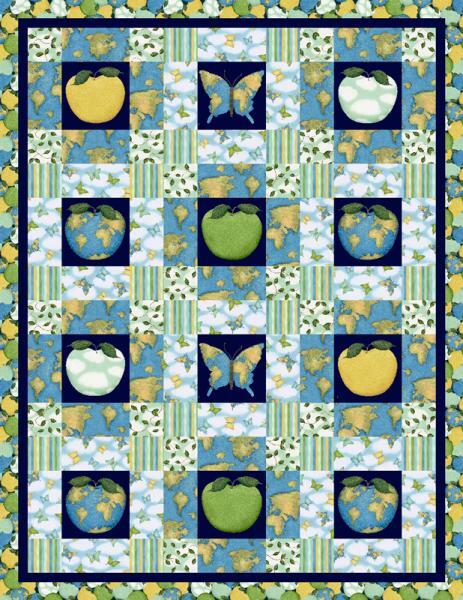 One of our designers, Bart, has designed a beautiful quilt using this fabulous collection!" Finished Size: 51" x 66"